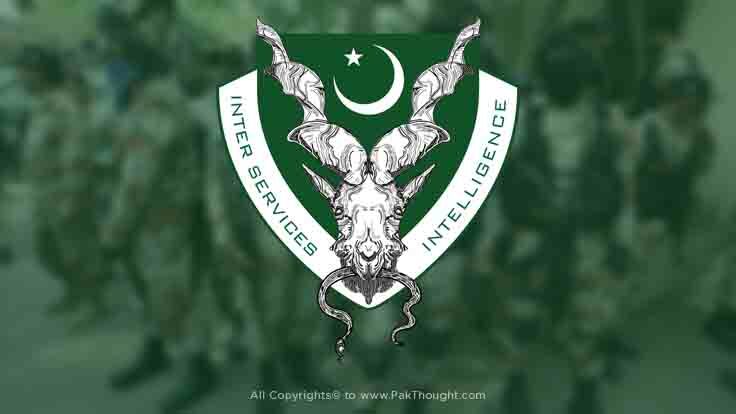 Inter-Services Intelligence or ISI is a Premier Intelligence Agency of Pakistan. It is responsible for gathering, processing and analyzing the national security and threats inside/outside of Pakistan. The ISI is headed by a Director General from senior Officer of Pakistan Army. It was founded by British General Robert Cawthome in 1948. Their headquarters are located in Islamabad, Pakistan. The Annual Budget of ISI is Classified but ISI is known as One of the world's most least funded Intelligence Agencies. The Current DG(ISI) is Lieutenant General Naveed Mukhtar of the Pakistan Army. The Director General of ISI works under Political Leadership of Pakistan and its task is to provide necessary information to it. By the year 1947, India started its diplomacy with Pakistan meanwhile there was a strong rivalry between both countries due to the conflict of Kashmir. For that reason, The Pakistan Military General who was serving in Pakistan Army as a two star Major-General under Pakistan Army Corps of Signals decided to form a Strong and Powerful Intelligence Agency in 1948. It's main task was to protect the territories of Pakistan from Indian/Foreign Invaders. The Inter-Services Intelligence or ISI works as a head organisation of Intelligence Agencies of Pakistan. It collects and verify the Information given from either MI or IB. The ISI personnel works as an Undercover agents all over the world including United States and India etc. The Pakistan's ISI is very effective in protection of Sites of Nuclear Weapons in Pakistan. According to reports, The US and Indian Intelligence Agency (RAW) has tried several times to gather information of Pakistan's Nuclear Sites but they failed all the time as Stealthy ISI changes its Nuclear sites again and again. Recently, The United States CIA planned a Jail break mission to release Shakel Afridi (A doctor who helped CIA to identify Osama Bin Laden) from Pakistan's Custody. On the execution of this mission, ISI got into Action. The Inter-Services Intelligence of Pakistan shifted the Shakeel Afridi to an unknown location and thus CIA mission failed. The Military Intelligence is basically headed by Military Officials. It's main focus is on Bordering areas of Pakistan mainly east and west because of foreign threats. It gathers Information by their various sources and then Analyse to take further step only after conformation orders from Military. The Intelligence Bureau or IB is the oldest Intelligence Agency of Pakistan. It was founded on August 17, 1947. The Intelligence Bureau is consists of highly trained Civilians but it is works under the command of Pakistan Army Officials. The IB mainly works to neutralize the internal threats inside the Pakistan. Hundreds of Terror Attacks have been averted since the formation of Intelligence Bureau. As you might know that ISI agents keep themselves very Stealthy and Undercover, So they recruit only those who remain calm in extreme conditions. The ISI recruits must have strong Patience Abilities including Torture Handling, Living in hostile Situations or Work inside the real enemy of Pakistan. In order to fulfill all those need, The Inter-Services Intelligence gives a very Secret and Rigorous Training which an ordinary man can't handle. So, mostly the ISI consists of former Military Personnel especially from Military Intelligence or Elite SSG who work under the In-Service Officers of Pakistan Military. Civilians of Pakistan can only join Intelligence bureau, which has given basic tasks of providing Security to people of Pakistan from any Internal threat. Author: Haseeb Ahmed Saeed is a Freelancer, Passionate Blogger, Writer and a Student of Bachelor. He loves Technology more than anything else and also Expert in Civil Diplomacy, Current Affairs, Military Analysis etc.